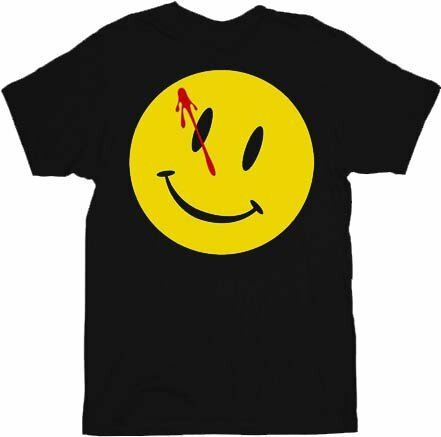 ​A complex, multi-layered mystery adventure, Watchmen is set in an alternate 1985 America in which costumed superheroes are part of the fabric of everyday society, and the “Doomsday Clock” – which charts the USA’s tension with the Soviet Union – is permanently set at five minutes to midnight. 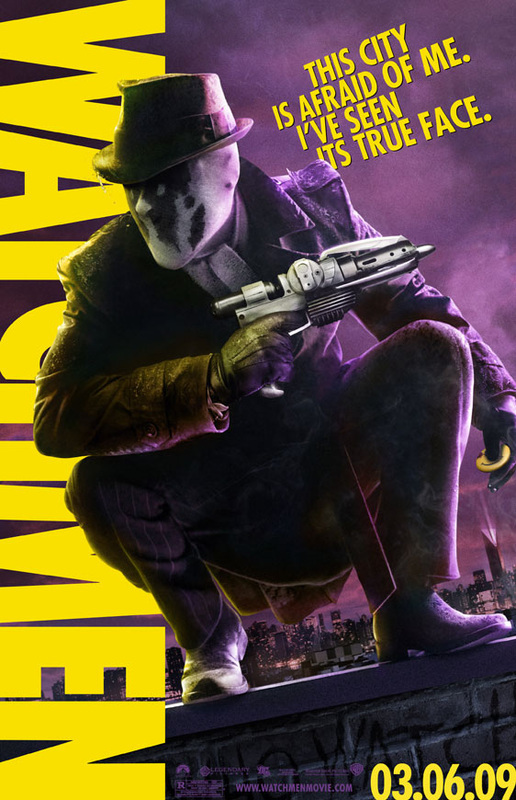 When one of his former colleagues is murdered, the washed up but no less determined masked vigilante Rorschach sets out to uncover a plot to kill and discredit all past and present superheroes. 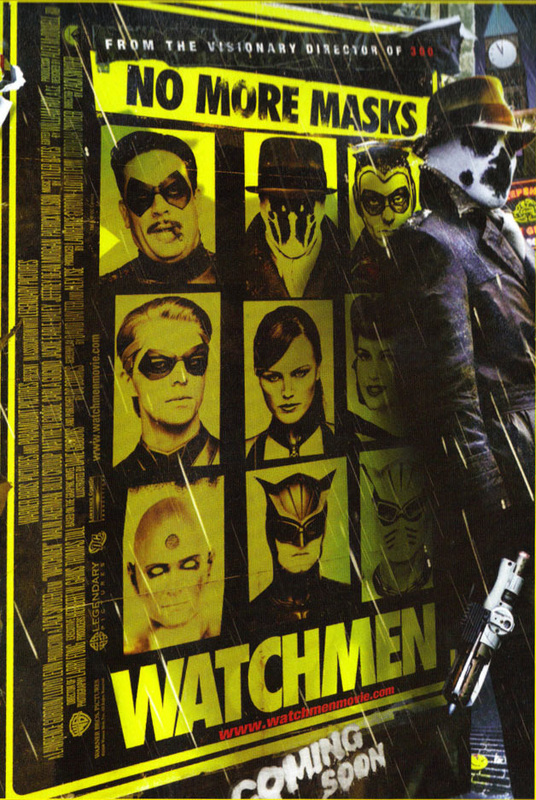 As he reconnects with his former crime-fighting legion – a ragtag group of retired superheroes, only one of whom has true powers – Rorschach glimpses a wide-ranging and disturbing conspiracy with links to their shared past and catastrophic consequences for the future. 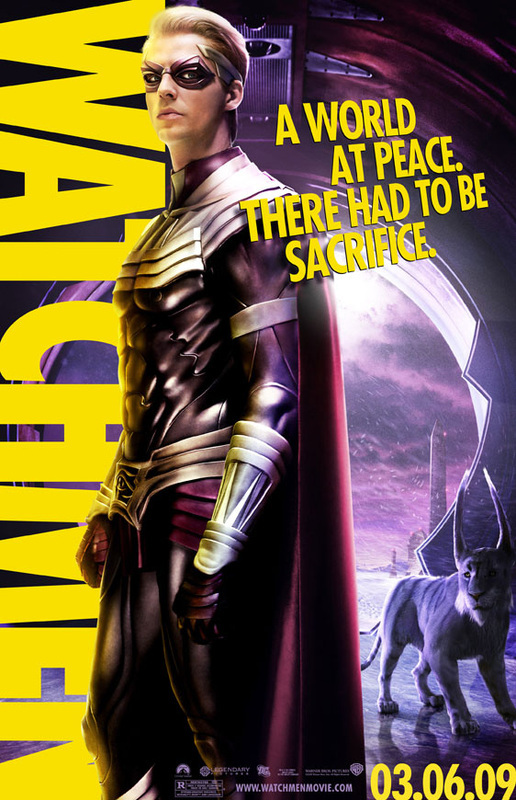 Their mission is to watch over humanity…but who is watching the watchmen? 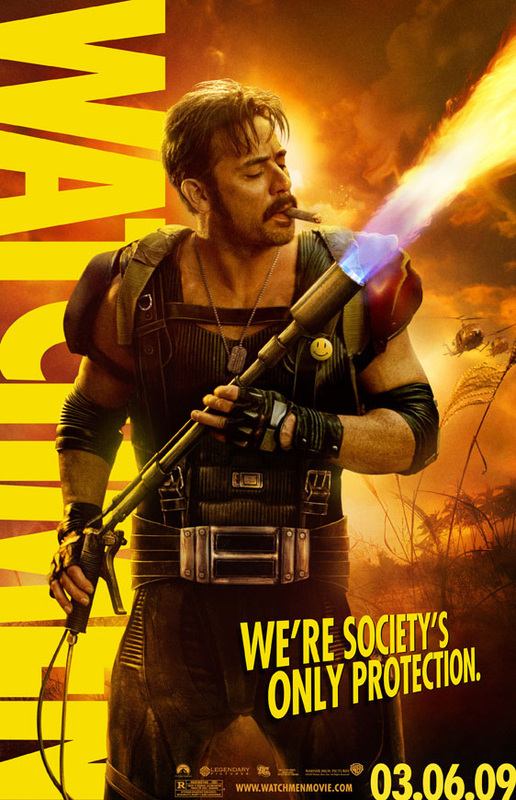 Jeffrey Dean Morgan as Edward Blake / The Comedian: A superhero who is commissioned by the U.S. government. One of the most active vigilantes in the Watchmen universe, Edward Blake operated as the Comedian for decades, in addition to working for the U.S. government in Vietnam and elsewhere. Originally a jester-themed hero, he later took on a more militaristic outfit, in keeping with his violent solutions to most problems. He is by all appearances a cynical egotist using moralistic vigilantism as a cover for his sadistic tendencies. Matthew Goode as Adrian Veidt / Ozymandias: A retired superhero who has since made his identity public. Adrian Veidt, acclaimed as "The World's Smartest Man," was inspired by the life of Alexander the Great to take on the costumed identity of Ozymandias. Having trained his body to athletic perfection, he operated for only a few years before retiring, revealing his secret identity publicly, and building a financial empire based around his past as a costumed hero. Determined to do true good in the world, he is one of the few vigilantes apparently free from psychological scars from his years fighting crime. Inspired by the original Nite Owl from the hero team known as the Minutemen, Dan Dreiberg used his skills as an inventor to become the second, much more gadget-driven Nite Owl. Partnering with Rorschach, the two operated as a team, using Nite Owl's Owlship, a round, owl-themed craft named Archie, to quickly fly to the scene of the crime. Relatively even-keeled when compared to his fellow heroes, Dreiberg retired when costumed vigilantes were outlawed, and as the years passed he has fallen out of shape and been plagued by growing insecurities. Jackie Earle Haley as Walter Kovacs / Rorschach: A masked vigilante who continues his extralegal activities after they are outlawed. Motivated by a traumatic childhood and an unwavering sense of right and wrong, Walter Kovacs became the costumed hero Rorschach, wearing a trench coat, a fedora, and a mask with a shifting, mirrored pattern of black shapes on a white background. Highly skilled in physical combat and able to turn almost anything to hand into a makeshift weapon, Rorschach worked as a team with the second Nite Owl until costumed vigilantes were outlawed. 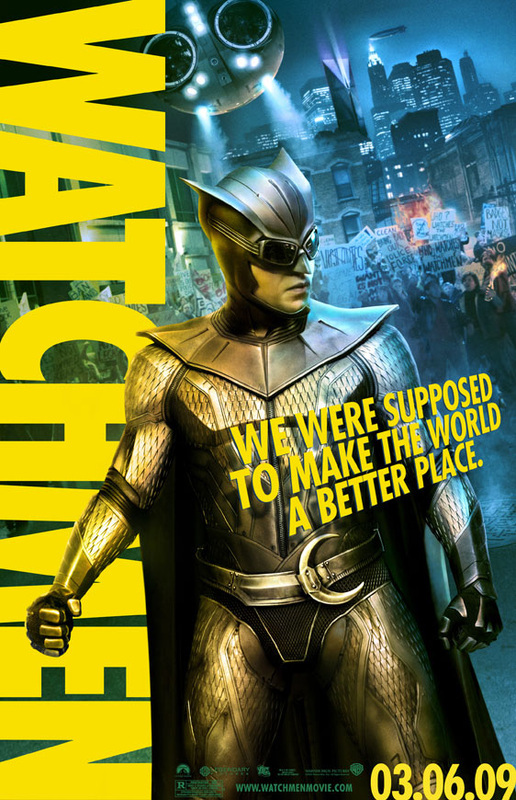 Nite Owl retired, but Rorschach refused to follow suit, operating illegally and becoming increasingly paranoid. His journal is the regular record of all of his activities and his increasingly misanthropic musings. 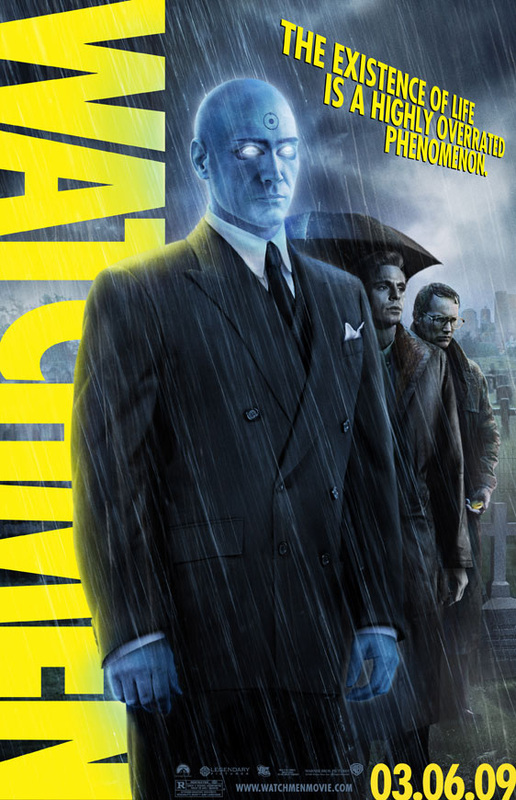 Billy Crudup as Jon Osterman / Dr. Manhattan: A superhero with genuine superpowers who works for the U.S. government. In the late 1950s, ordinary man Jon Osterman was ripped into particles in a science experiment gone horribly wrong. But his consciousness lived on, and he managed to reassemble himself as a true superhuman, a glowing blue model of physical perfection, able to see the future and alter matter all the way down to the subatomic level. His presence profoundly affects not just his fellow heroes, but also global scientific and geopolitical affairs. However, his growing detachment from humanity has frequently left him indifferent to the world and the people around him. Laurie Juspeczyk was pushed into adventuring by her mother Sally Jupiter, the original Silk Spectre. The youngest of the Watchmen, Laurie was haunted by ghosts from her mother's past, which complicated her own, limited activities as a vigilante. She became involved with Dr. Manhattan and quickly retired her Silk Spectre identity as costume vigilantes were outlawed, choosing to live with Dr. Manhattan at a private government institution. Their isolated lives together make her witness and captive to his increasingly inhuman eccentricities. Watchmen Movie Prop Peplicas, Figures, Toys and Collectibles! 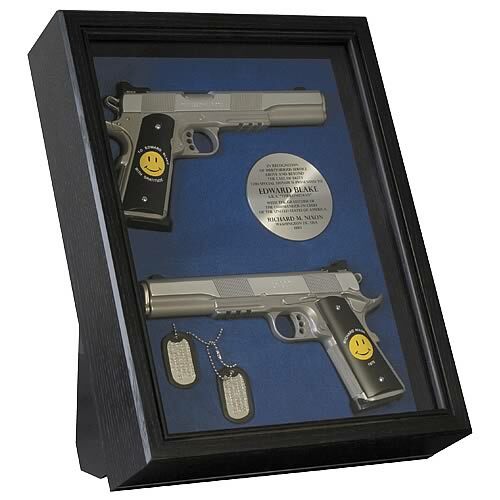 This superb prop-replica set from Watchmen features the Comedian's trademark side arms (with the commemorative handle grips presented by President Nixon), a plaque recognizing his service to his country, and his military-issue dog tags. Designed by Dave Lauck of D&L Sports, Inc., the Comedian's guns are cast from the actual props used in the movie! All the components are permanently mounted inside an acrylic-covered frame that can be hung on a wall or set on your desktop. The display frame measures approximately 16 1/2-inches tall x 13-inches wide x 4 1/2-inches deep and comes in a 4-color box. This prop replica set of Rorschach's grappling gun and mask were created from the actual digital files and pattern that were used to create the pieces used in the movie. 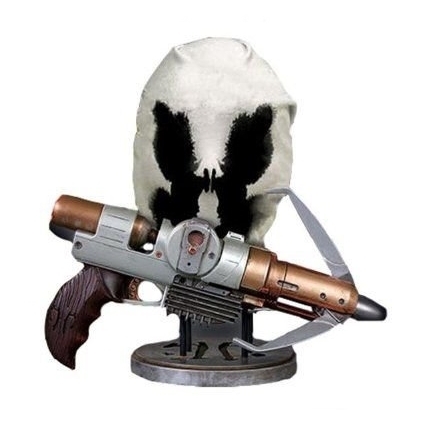 The grappling gun is permanently attached to a display base which features a Rorschach pattern that is authentic to the movie, while the mask is removable. The entire piece measures approximately 10.5" high x 13.25" wide x 8" deep, and is packaged in a 4-color box. 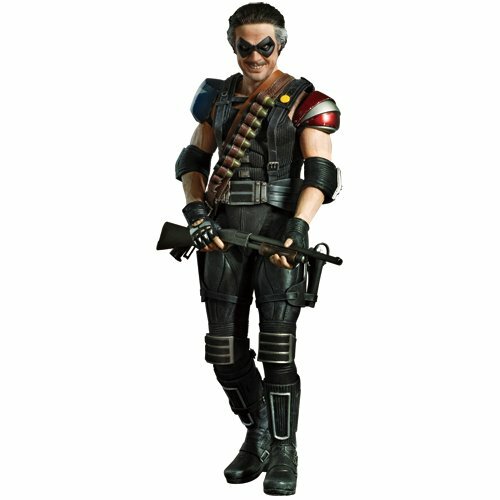 The movie-accurate collectible is specially crafted based on the image of Jeffrey Dean Morgan as The Comedian in the movie. ​From the Manufacturer: Sideshow Collectibles is proud to bring you the latest in Hot Toys' Movie Masterpiece Series, Watchmen. The Comedian figure stands approximately 12-inches tall and features over 21 points of articulation. The movie-accurate collectible is specially crafted based on the image of Malin Akerman as Silk Spectre II in the movie. ​From the Manufacturer: Sideshow Collectibles is proud to bring you the latest in Hot Toys' Movie Masterpiece Series, Watchmen. The Silk Spectre II figure stands approximately 12-inches tall and features over 26 points of articulation.